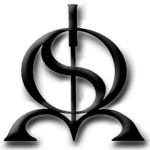 The mission of the Seattle Institute of Oriental Medicine is to train well-prepared and well-rounded practitioners of Oriental medicine. This is achieved by emphasizing active learning with a focus on problem solving in clinically-based, apprentice like experiences. At the same time, students are exposed to a variety of approaches to Oriental medicine that engenders awareness and respct for the validity of different healing traditions. The entire program is designed to give students a solid grounding in the basics of Oriental medicine and supply the tools and encouragement for students to develop their own approaches. The Seattle Institute of Oriental Medicine's program received candidate status from the Accreditation Commission for Acupuncture and Oriental Medicine in May 1996. It was first accredieted in 1998, and reaccredited by ACAOM in 2001. The Seattle Institute of Oriental Medicine offers a master's degree in acupuncture and Oriental medicine. The program is three years (36 months) in duration, with classes and clinic occurring 45 weeks out of the year in three 15-week trimesters. Students spend approximately 22 hours per week in clinical training courses. The courses and clinic are designed to be taken as one cohesive unit; therefore, all students are expected to enroll on a full-time basis. Classes are often set in a "problem-based" format that requires extensive individual and team research. 1. Knowledgeable in different approaches to Oriental medicine and able to access resources in Chinese and English. 2. Skillful in the assessment of patients and the administration of various modalities in the treatment process. 3. Competent in clinical reasoning and able to make appropriate diagnoses and treatment plans. 4. Professional in communication and demeanor with peers and patients.